Measure anything and everything with Smart Tools. 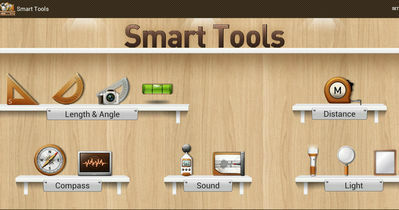 The app is an all-in-one toolset containing 15 tools for every need (More info on the Play Store). You can calculate length, slope, etc with the Smart Ruler Pro. Measure distance, height, etc with Smart Measure Pro. Meter sound level with Sound Meter Pro. 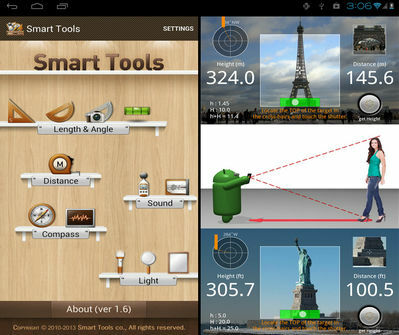 Plus many other tools namely Smart Compass Pro, Smart Light Pro, and Unit Converter Pro. Smart Tools is not compatible with devices that have NO magnetic sensor (e.g Moto G4, Galaxy J7, Micromax).